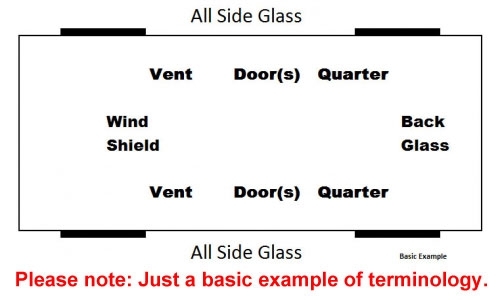 ALL GLASS. 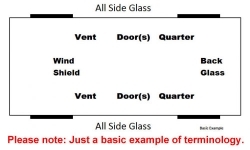 Glass is tempered - except windshields are laminated. FREE Shipping. Just fill in the below and that’s what we’ll custom make for you - That Simple! Free Shipping too !